A Virginia native, Susan Schmidt rows, gardens, and plays music in North Carolina near Cape Lookout and Asheville. A naturalist and poet, she has worked as an English teacher, editor, and policy scientist. A licensed captain, she grew up sailing the Chesapeake Bay, where her family has lived since the 1600s. A teacher in high school and college, she has a Ph.D. in American literature and a Masters in Environmental Sciences. In 2002, in a small boat, Susan Schmidt retraced John Smith's 1608 voyage on the Chesapeake Bay. Her lecture and her book focus on Smith's adventures, the Jamestown experience, the Bay's ecological history, Native Americans then and now, and her own 100-day expedition, with impressions of the Bay's beauty and its challenges. The book is a cruising guide for boaters and field log for naturalists. Susan illustrates her hour-plus lecture with vivid color slides (or PowerPoint). She also leads history and natural-history workshops. A licensed captain, she grew up sailing the Chesapeake Bay, where her family has lived for almost 400 years. A teacher in high school and college, she has a Ph. D. in American literature and a Masters in Environmental Sciences. Dr. Schmidt leads 3 to 5-day technical or creative-writing workshops. Around the country she trains USDA Forest Service endangered-species field biologists to write environmental-assessment documents. In North Carolina she teaches technical writing to avionics engineers at the Naval Air Depot Cherry Point. She has taught writing to engineering students at the University of Virginia and NC State University. She teaches creative-writing workshops at Carteret Community College on the North Carolina coast and for county arts councils. She has led creative-writing workshops for Duke University, Asheville Writers Workshop, and Chowan College. 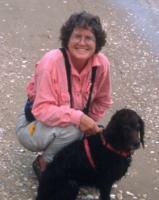 For a decade Dr. Schmidt has worked as contract technical editor for the USDA Forest Service. She edited the Southern Appalachian Assessment and the natural-resource survey for the Savannah River Site (Island Press, June 2005). She copy-edits for university presses and writes grant proposals and curriculum.